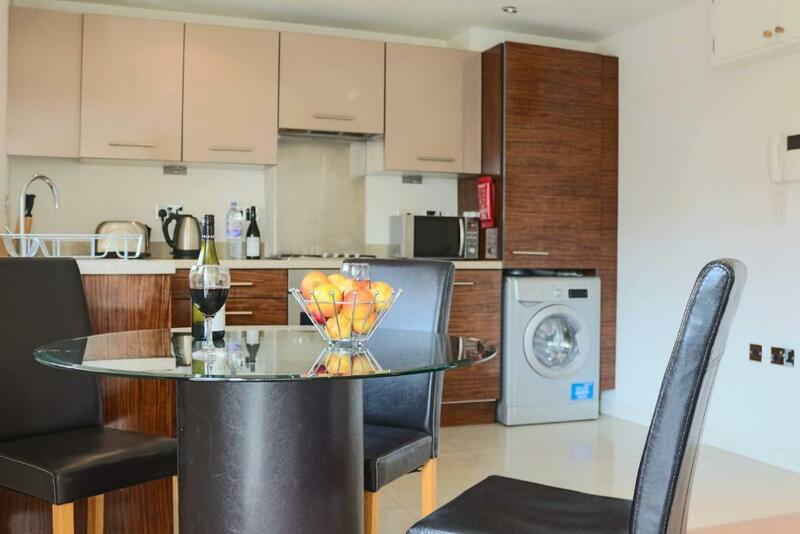 4 star serviced apartments less than 600 yards from Ocean Village with its restaurants, cinemas and supermarket. 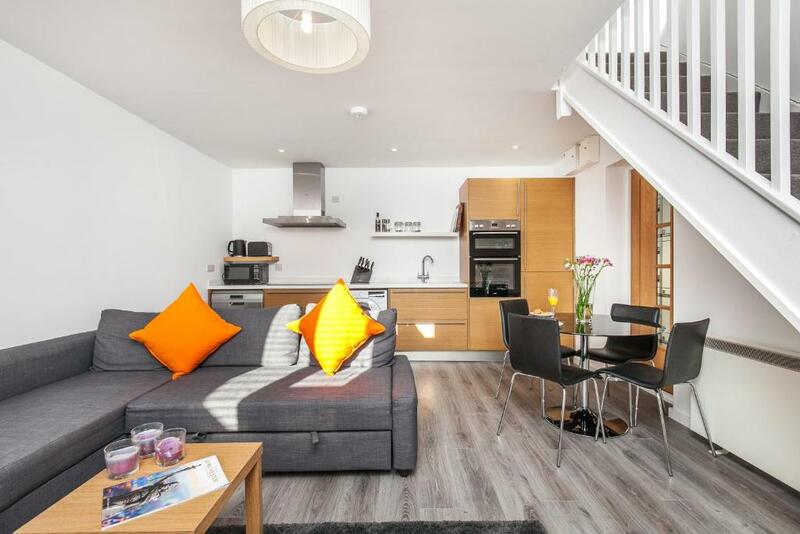 These luxury flats have free private parking, free wifi and a spacious lounge with TV ad DVD player. The kitchen is fully equipped and includes appliances such as dishwasher and washing machine. Two bedroom apartment that sleeps four people. 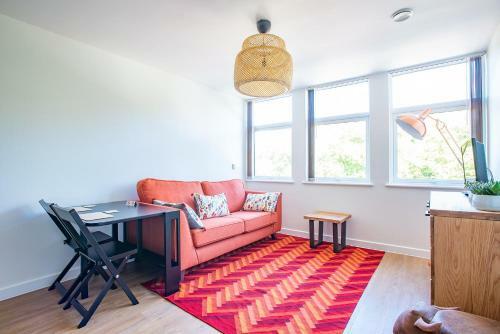 Located in central Southampton, these apartments each have a fully equipped kitchen with oven, microwave and fridge, and a comfortable lounge with TV and DVD player. 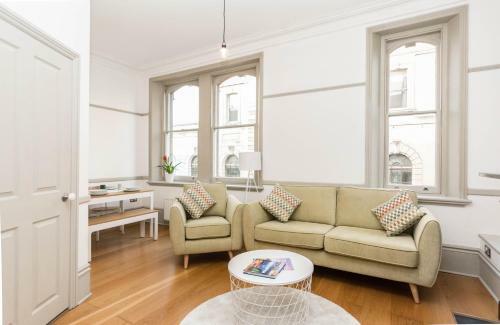 3* serviced apartments in Gloucester Square, just a very short walk from Mayflower which is a great spot for watching cruise ships coming and going from Southampton. 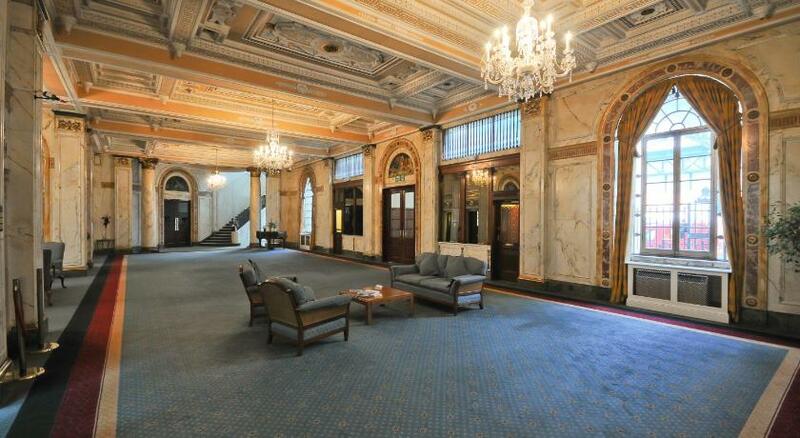 These serviced apartments are in the impressive Grade-II listed South Western House in Southampton City Centre. 4* serviced apartment in a residential area on the outskirts of Southampton, close to the M3 and M27. 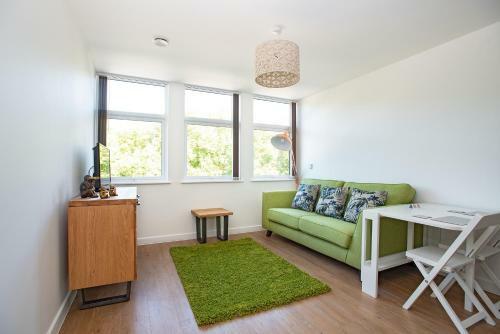 The two bedroom apartments can sleep 4-6 people and have free wifi and ree parking. 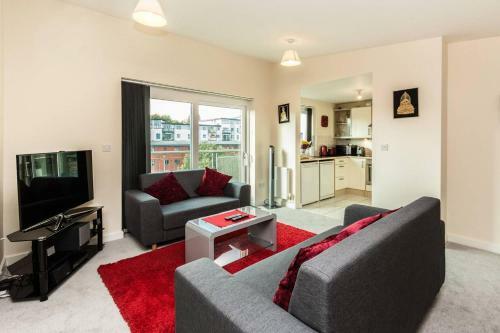 One bedroom serviced apartment in Southampton? ?s Ocean Village with shops, restaurants, bars and a cinema right on your door step. 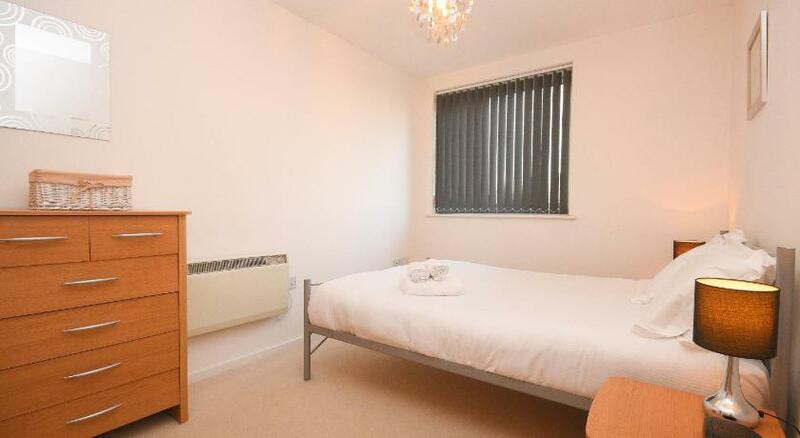 Three star serviced apartment in the centre of Southampton, close to large parks. The flat has free on site parking and free wifi. There? ?s an open plan lounge area and a well equipped kitchen. 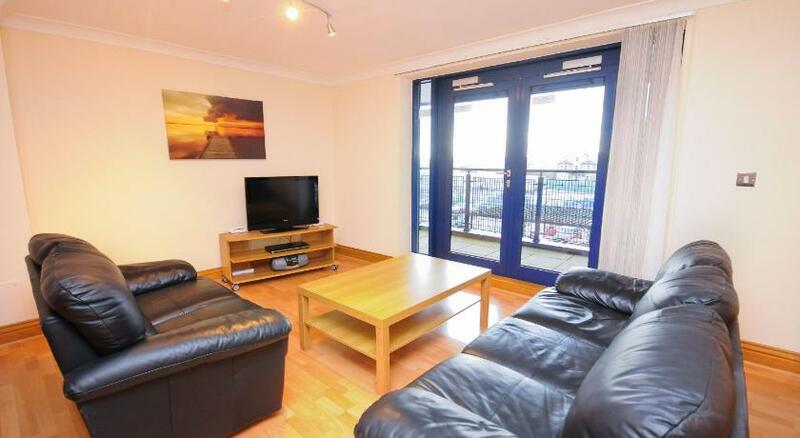 Located close to the River Itchen, apartment has free Wifi and wooden flooing throughout. Boasts a spacious living room with sofa, flat screen TV and DVD player. Three star serviced apartment in Southampton city centre. 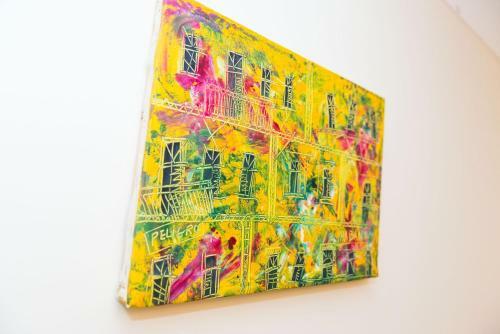 The apartment benefits from a fully equipped kitchen, a spacious lounge and free wifi. One and two bedroom apartments available in Sirocco Court in Southampton? ?s Ocean Village area. Enjoy a fully equipped kitchen, a spacious lounge and dining area and a balcony with table and chairs. Radio Taxis are Southampton's leading taxi company, with booking apps available on iPhone and Android, or call 023 80 666 666. 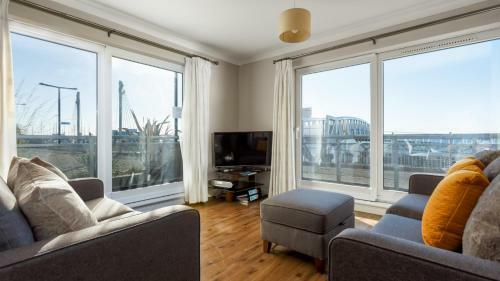 Serviced apartments in Southampton providing modern purpose built flats both in Southampton city centre and also in the Ocean Village area. Southampton is able to provide a good range of self catering serviced accommodation, with a choice of four and three star options available. Ocean Village in Southampton is a mixed-use marina surrounded by shops, bars and restaurants. Mayflower Park is a popular waterside park in Southampton and a great vantage point from which to see some of the cruise ships arriving at and leaving Southampton. Southampton International Airport provides flights to and from destinations around Europe, and domestic services across the UK. Regular train services to and from London Waterloo, Bournemouth and Portsmouth Harbour. Modern multiscreen cinema showing the latest releases. England's ancient capital, Winchester is a bustling cathedral city and is the county town of Hampshire. Historic city and naval base which is home to HMS Victory and the Mary Rose. Historic Salisbury is home to the stunning cathedral and a short distance from Stonehenge. Charming harbour town on the south coast in Dorset.